LESS than a day after leading his club to another win in the Premiership Division, goal-shoot Ronald Phipps produced another scintillating performance with 38 goals in 46 attempts on Sunday to guide Fire into the semifinal of the Courts All Sectors Netball League (ASNL) Steve Sarjeant Knock-out Trophy. 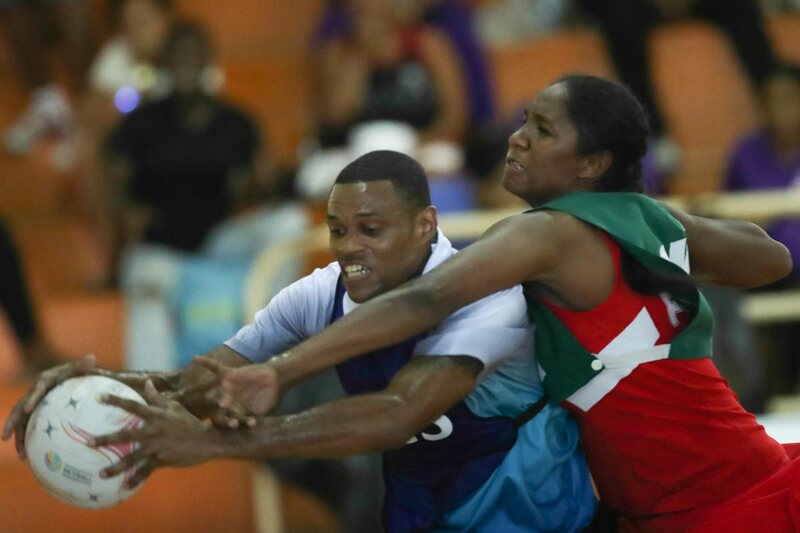 Fire proved too hot to handle for UTC, prevailing 52-35 at the Eastern Regional Indoor Sports Arena, Tacarigua. Defence Force also moved past the first round stage after edging an in-form PYC 36-34. Phipps stood out once again, although his Fire team-mate goal-attack Simone Morgan also had a good display with 14/18. UTC were well represented by goal-shoot Aquila Blugh, who led the team with 26/38, and Jason Noray with a perfect eight goals from eight tries. With the two preliminary matches out of the way, Defence Force will meet Police in the first semifinal, and Fire will take on Las Lomas in the other semi. Both matches are scheduled for February 3. In Saturday's only other match, MIC Tigers – a late entry to the Retro Division – defeated Jabloteh 30-24, handing the latter their third straight loss. Goal-shoot Sojourner Hyles Lewis top scored albeit with uneconomical figures of 17/36, while her team-mate goal-attach Anita Pitt Russell was the sharper of the two with 13/18. Goal-shoot Julia Britto scored 22/37 for Jabloteh. Jabloteh were expected to return to action in the same division on Monday but those matches were rescheduled for today. They will face TSTT from 5.30 pm, followed by a clash between Les Enfants and Police, who are on two straight wins, at 6.20 pm. Reply to "Morgan, Phipps carry Fire into KO quarters"